The Central Atlantic Coast of Florida extends from the Palm Beach County line to just north of Daytona Beach. Active adults are drawn to the Central Atlantic Coast region of Florida by nice weather, wonderful beaches, great water views and affordable housing. Some of the more popular active adult communities in the area are Heritage Isle, Cascades at St. Lucie West, and Kings Isle. Like Southern Florida, the Central Atlantic Coast of Florida is still moderated by the warming affects of the Gulf Stream in the winter and cooling from the Atlantic Ocean in the summer. Temperatures tend to be a few degrees cooler than Southern Florida, but are still very pleasant. In the southern section of this region, July highs average 84 and low temperatures average 68, and winter highs and lows average 73 and 52, respectively. As you go farther north, these highs and lows are typically 3 to 5 degrees cooler. Most of the area experiences about 50 inches of rain annually. The region spans five counties; Martin County, St. Lucie County, Indian River County, Brevard County and Volusia County. 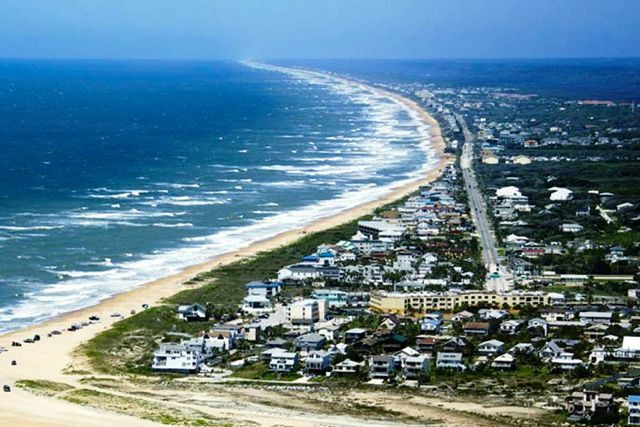 It also includes popular retirement destinations such as Fort Pierce, Port St. Lucie, Vero Beach, Melbourne, Palm Bay, Cocoa, Cocoa Beach, Titusville, New Smyrna Beach, Daytona Beach and Ormond Beach. The area encompasses two popular areas of Florida known as the "Treasure Coast" and the "Space Coast" which includes Cape Canaveral and the Kennedy Space Center. Though this area is less congested than areas farther south in Florida, there are still endless opportunities for great recreational and cultural opportunities. Golfing and tennis are among the favorites of active adult residents in the region and the area consequently offers plenty of golf courses and tennis courts. Like most areas in Florida, water sports, including boating, fishing and sunbathing on the many beautiful beaches is a highlight for the areas residents. The eclectic make-up of the region's residents, along with their fine tastes, makes the region alive with culture. This stretch of coast is dotted with numerous museums, art galleries and performing arts centers. Residents of the region have access to the many diverse attractions that are sure to appeal to nearly every active adult. When the grandkids come to visit there are numerous options such as Jonathan Dickerson State Park, the U.S. Astronaut Hall of Fame, The Kennedy Space Center or one of the several museums devoted to the shipwrecks and sunken treasures of the Treasure Coast. In addition, Walt Disney World and all of its attractions are about an hour s drive from most places in the region. Sports fans enjoy the many popular sporting events that happen in the area annually. The LPGA International headquarters is located in Daytona Beach, Florida and hosts multiple professional tournaments every year. Also located in Daytona Beach is the Daytona International Speedway. This speedway is home to many racing events such as NASCAR s Daytona 500 and the Coke Zero 400. The cost of living in the Central Atlantic Coast Region of Florida is just above the national average. The state enforces a sales tax of 6% on all goods sold. While property taxes are among the highest in the country, there are several exemptions. One exemption that may catch the eye of Florida active adults is the Senior Citizen Exemption. This exemption is available in certain counties only and is valued up to $50,000 for residents 65 and older with a gross income below $20,000. The median home cost in the area is $100,000. Active adults concerned about the level of healthcare in the Central Atlantic Coast can rest assured they are in a great area. There are numerous hospitals and medical centers in the area offering world-class healthcare. The Indian River Memorial Hospital in Vero Beach, Florida offers some of the best healthcare in the state.